Jai the Albino Cow: Jai Ng’Ombe Zeruzeru by Gloria D. Gonsalves (with illustrations by Nikki Ng’ombe) is a book intended for children in Grades 3-4. The story features a family of Ankole cows that live in the meadows of Kole Hills. There are two brothers, Lutalo (Bello Bello) and Tokei (Spotty), and their sister, Anjait (known as Jai). 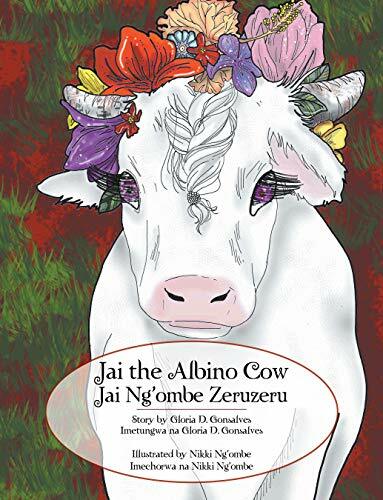 But Jai is different–she’s an albino cow. And some of the cows in Kole Hills believe that she is cursed. But others believe that she is a relative of unicorns. And it’s true. She is a magical cow whose dancing produces stars, silver glitter, and a rainbow of colors. She is the first female cow to join the dance of the cattle kings. I really enjoyed this book, especially the fact that the story is written in two languages, with both shown on the same page. Besides English, Jai’s adventure is also told in Swahili. Which allows a larger audience to read the book, as well as helps to teach readers another language. I liked the message in this story, that what makes a cow (or person) different is what makes them special. This book teaches children to show kindness to others, even those who are different. And it also encourages children to try new things, even things that no one else has ever tried before. I loved the illustration that were included in the book, showing various scenes from the story. The pictures, showing Jai and her family and the Kole Hillls, featured realism rather than cartoonish qualities and were drawn using vivid colors that appeal to young readers. 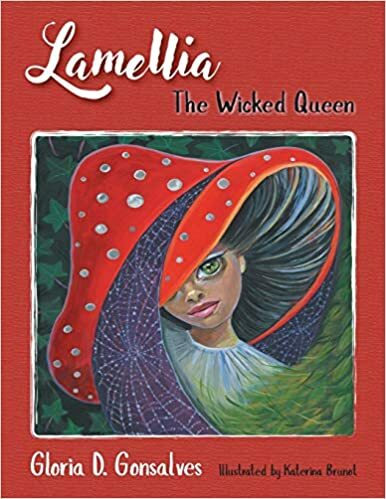 I would have liked it if the story had been just a little bit longer and included Bello Bello and Spotty’s reaction to seeing their sister’s magical abilities, but otherwise this was a great book.